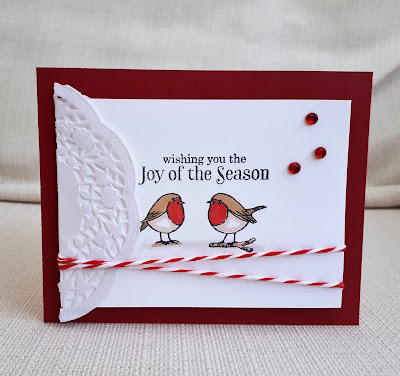 A really clean and crisp looking Christmas card with the two Robins, many thanks for joining in with our 'I Spy' theme at Stamoing Sensations challenge. A pretty card and the 2 robins are cute! The doily adds some interest to this CAS card - a great job and thanks for sharing with us at Stamping Sensations! I love this little card, Marina! 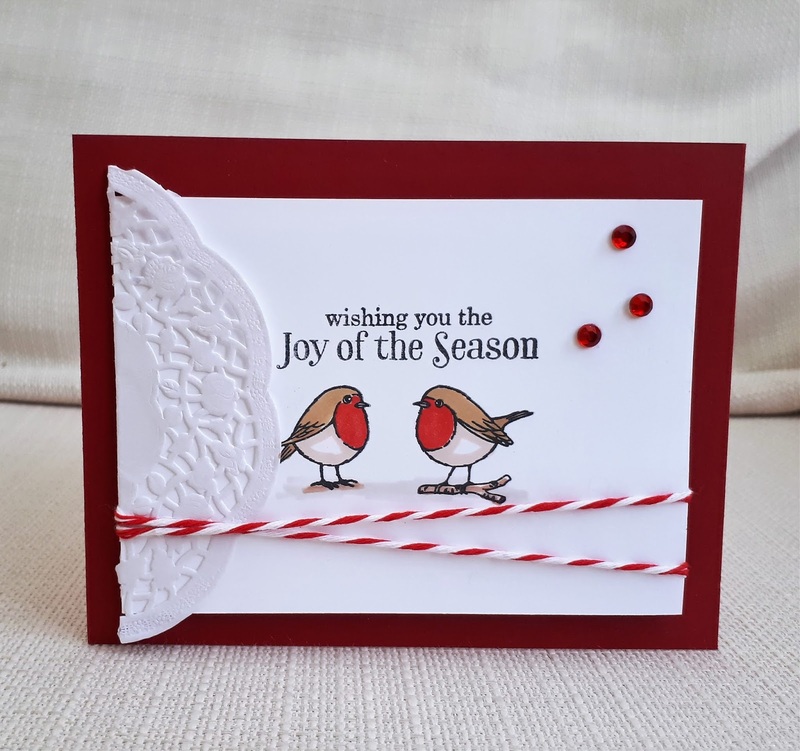 The doily is a great addition and the bright little robins give a wonderful pop of colour to the lovely CAS card. 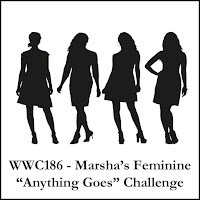 Thanks so much for joining us at our Challenge at Watercooler Wednesday this week. Great how you've incorporated the doily into your classy and gorgeous Christmas card x. What a sweet monochrome Christmas card. Thanks for joining us at the Watercooler Wednesday Challenge this week. What a clever way to use that doily for the challenge, Marina. I love the way you've kept the colours to just the white, red and touch of black. Your tiny birds are simply darling. Thanks so much for joining our Watercooler Wednesday Challenge this week. It's lovely! I love your robins! The doily is a beautiful detail on this card. Cute little birdies, perfect for Christmas, and I like the traditional colors. What a lovely use of the doily! Thank You for joining us at Watercooler Wednesday Challenges! Love the rich colors on this card, those little birds are so beautiful, the doily is places just perfectly. A lovely clean card. 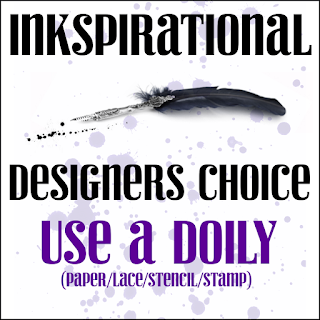 Thank you for taking part in the Crafty Cardmakers challenge. A lovely looking card with great design. Love the added doily to the design. Thanks for joining my Christmas Joy challenge over at Winter Wonderland. How cute are your robins, tweeting out their songs of joy! 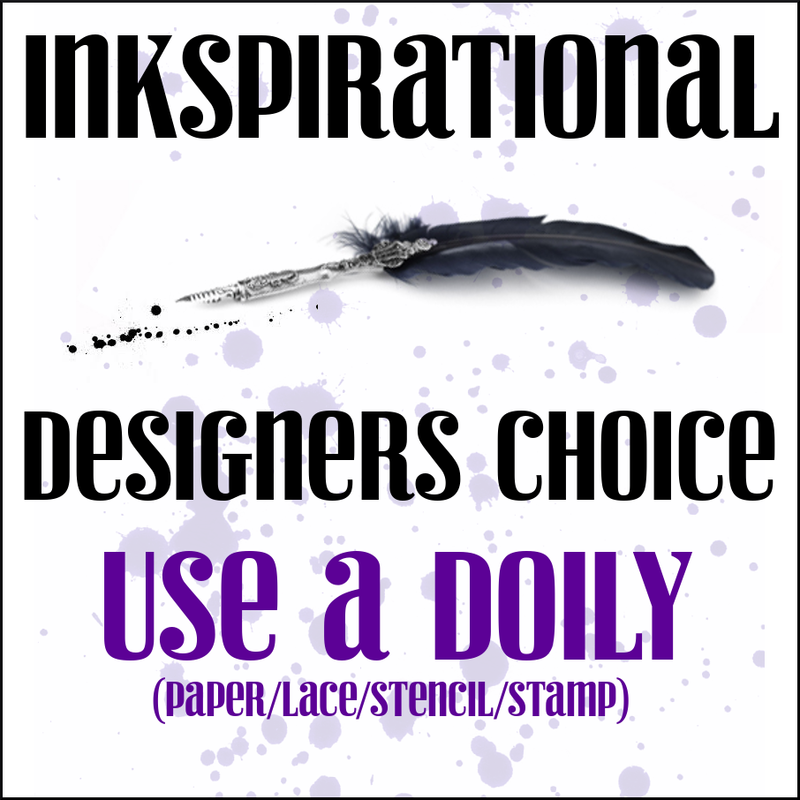 And your doily...perfect placement! Yes, mine was a 'cheat', but...too. much. fun! Oh, Marina! Love these sweet little robins!!! Thank you for sharing at SOS last challenge. The baker's twine is the perfect accent here.